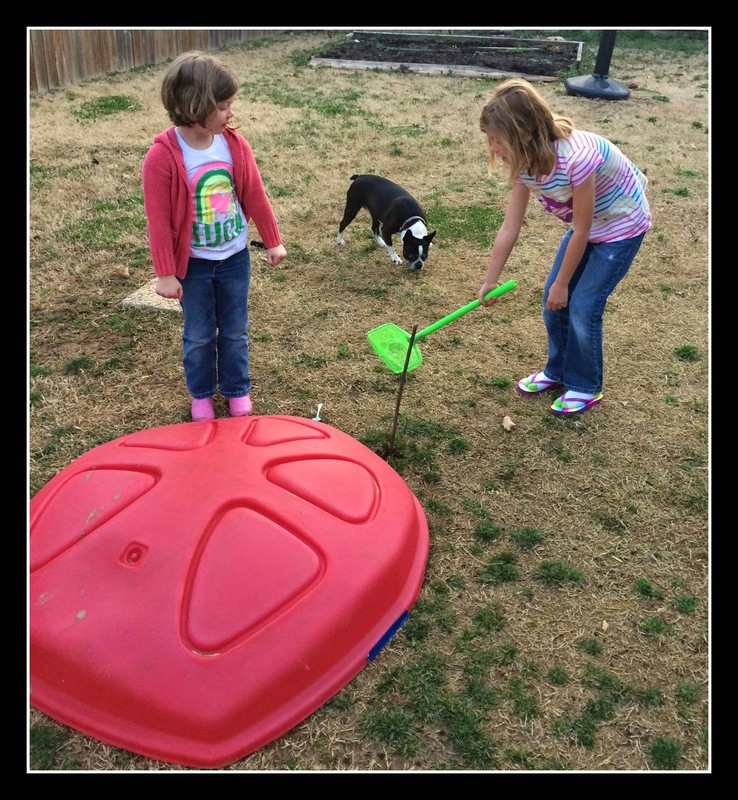 My sweet, creative kids decided on the eve of St. Patrick's Day that they wanted to make a leprechaun trap in the back yard. I believe this is directly related to the little ones learning about leprechaun traps in preschool--who knew this was even a thing? I think it's getting some legs with the tiny tot set, similar to the Elf on the Shelf craze. Mama don't think so. So, here I am, caught totally off guard over what to use to make (and bait) a leprechaun trap in the eleventh hour. Leave it to Big Sis to have a solution! She asked Siri what to do. Siri told us that leprechauns generally like to eat green foods and liquor; mainly whisky. Being the crafty lot that we are, we searched the fridge for something that would qualify. We came up with some salad, a cucumber and a really, really old and stale beer from the back of the fridge. We used food coloring to dye the beer green and BAM! Leprechaun bait was born! As for the trap, that was all up to the kids. 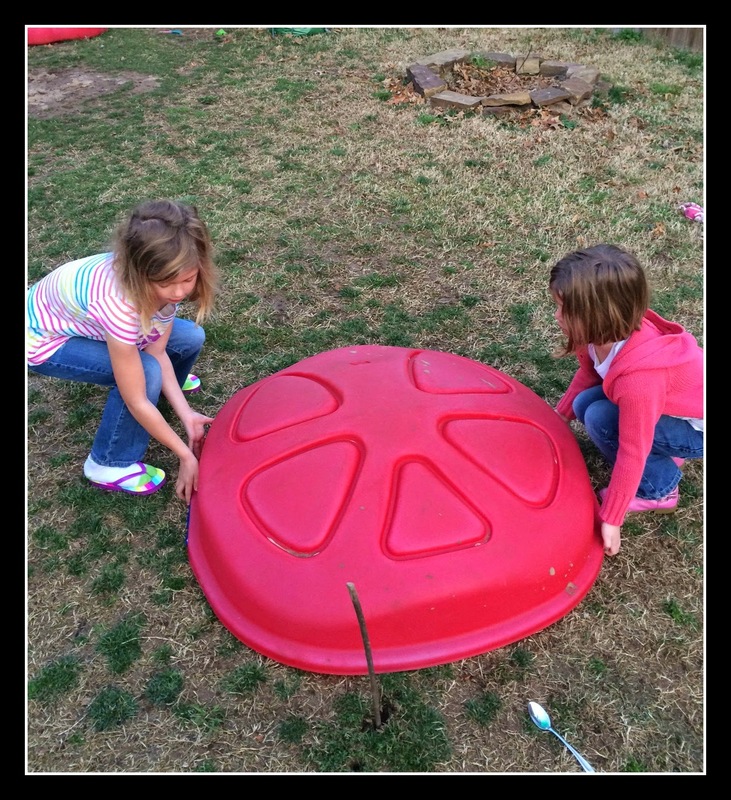 They went into the back yard and rigged up the sandbox lid with a metal rod. Hey, whatever works. Right? What I do love is that the seven-year-old was equally (if not more) excited and intrigued by the whole thing as were the four-year-olds. Pure magic, for sure. And, of course, Fergie didn't want to miss out on the action either. 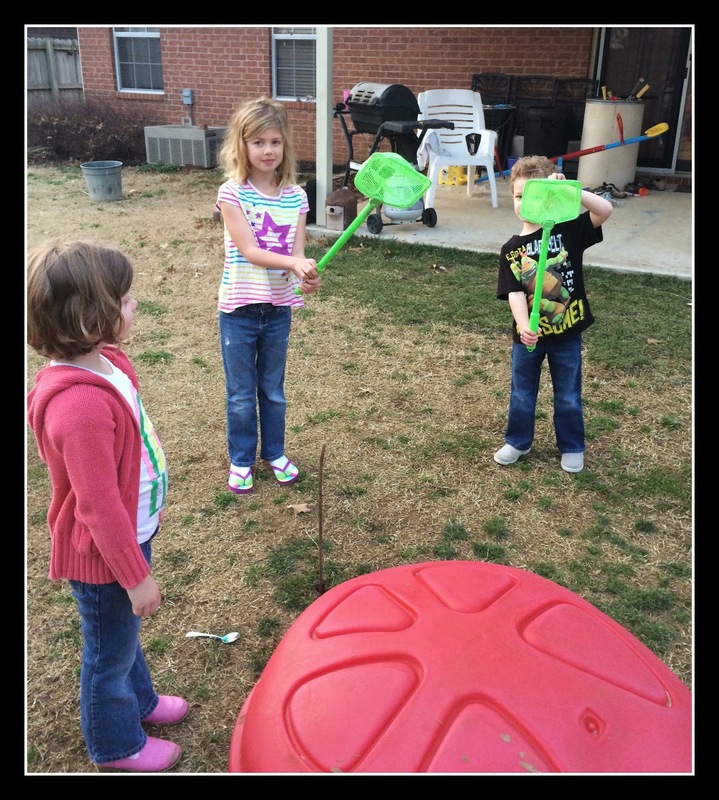 Also notice how my brave baby boy stood back so his sisters could open the trap and he'd "stand back and catch it." Sure, that's it.